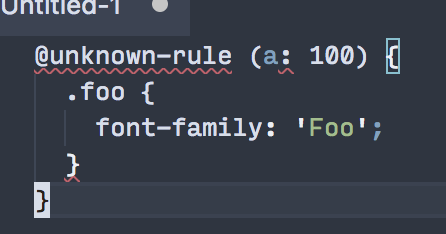 This gives some basic highlighting to unknown at-rules. The rules are modeled after @media. Better syntax highlighting of unknown css rules. @50Wliu what do you think?